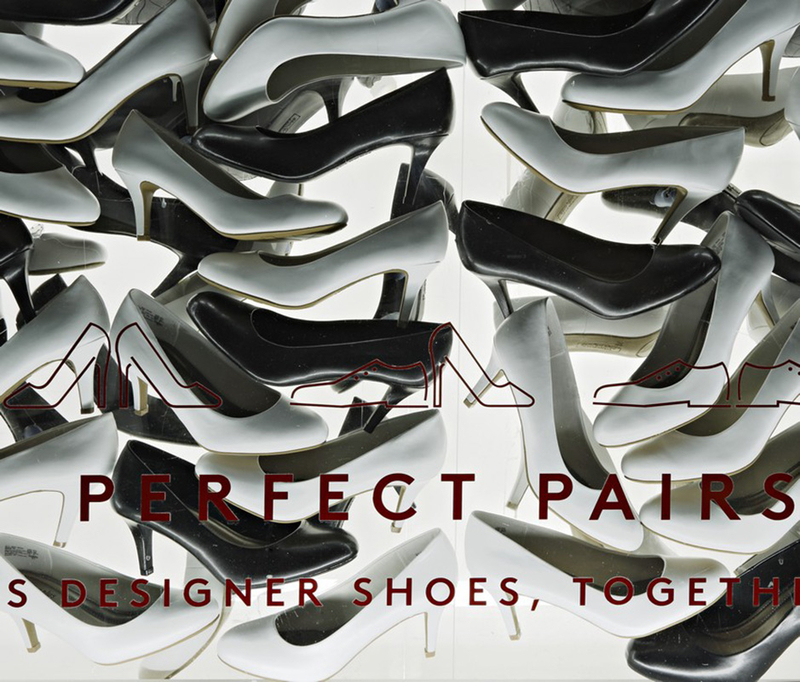 Window display celebrating the launch of Barneys New York charity project Perfect Pairs. 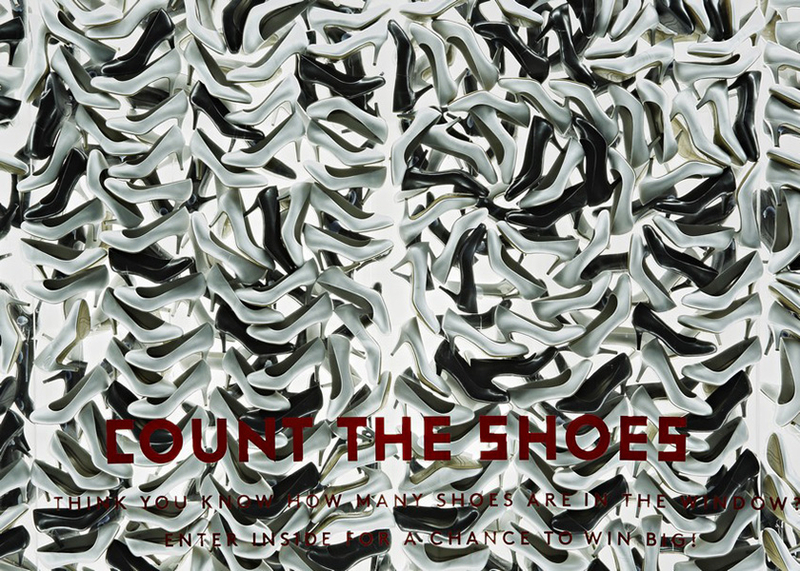 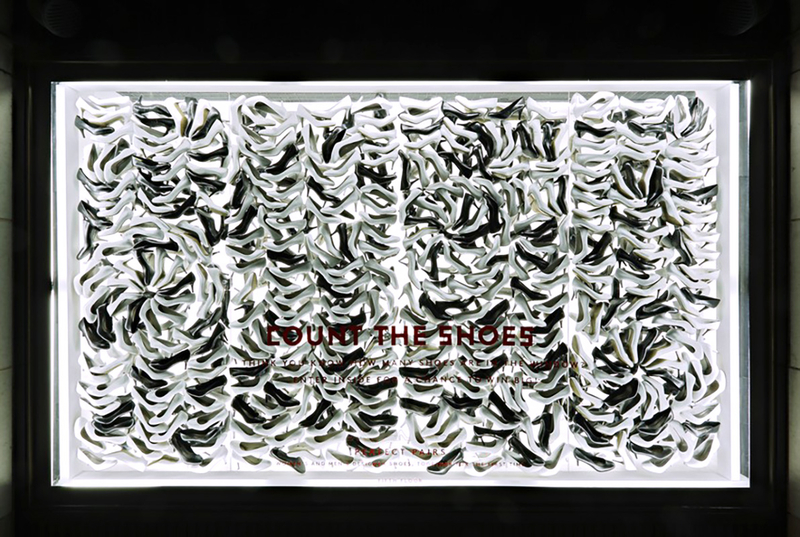 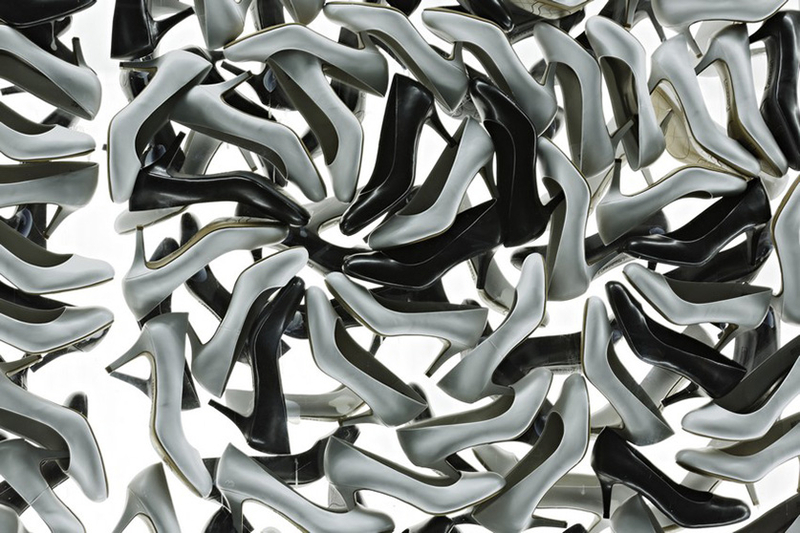 Dozens of of black and white shoes were adhered to the milk acrylic faces of large light boxes. 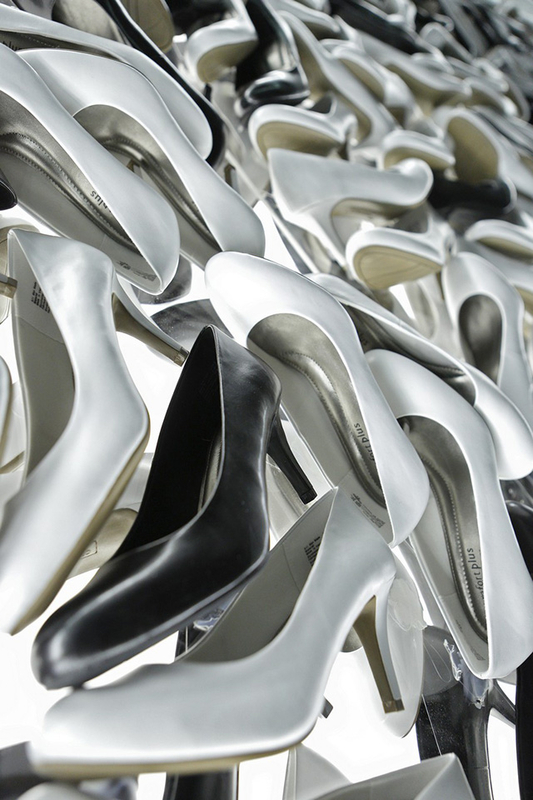 During the launch, 10% of in-store sales made within the new shoe emporium were donated to the Human Rights Campaign, an organization advocating for equality within the LGBTQ community. 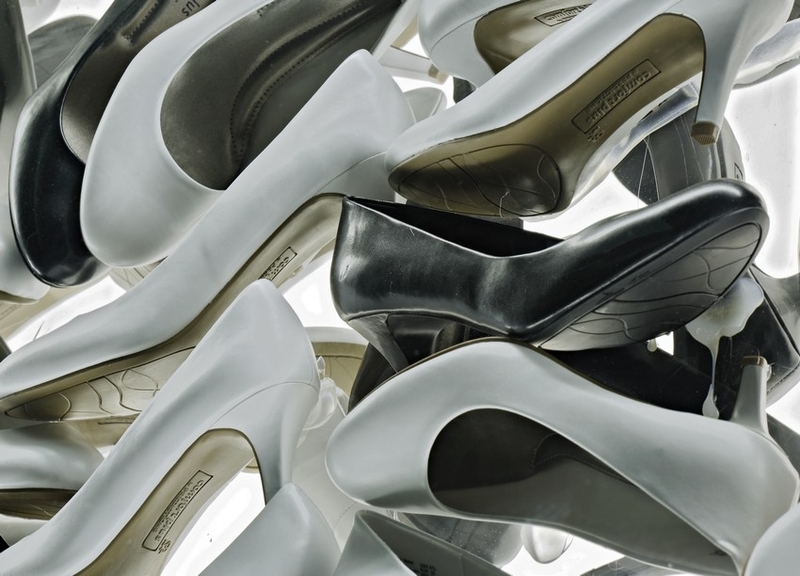 Photography by Tom Sibley.